Although the leadership of the Ottoman Empire was dominated by men, at least one woman in the early period of the Empire succeeded in making her way into the sultan's inner circle, and successfully influenced the future of the sultanate. This woman was Roxelana. Suleyman's wife was known as Roxelana in Europe and Rossa in Istanbul. She was a Ukranian slave who was likely captured in the Caucasus and taken to the slave market in Istanbul, where she was purchased for the sultan's harem. Suleyman's harem, like that of most Ottoman rulers already featured four chief concubines - one which would bear the sultan's heir - and about 300 other concubines. Like Roxelana most women in a sultan's harem were slaves that were given, purchased, or captured in war by the Ottomans. Additionally, almost all of them were Christians. part of Poland in the 16th century. Ukrainians were in those days known as "Ruthenians", also derived from the same root "Rus". Roxelana joined the lower ranks of the harem, but she quickly elevated her status. She gained the nickname Khourrem meaning "Laughing One" for her high spirits and storytelling abilities. She soon became one of Suleyman's favourites and accompanied him on several public occasions. This special treatment drew the ire of Suleyman's senior consort Gulfem, whose son Mustafa was considered to be the heir to the Ottoman throne. Roxelana used her influence over the sultan to have Gulfem and Mustafa banished to a far province of the Empire in 1534. Roxelana bore Suleyman a son shortly after that who she hoped would replace Mustafa as Suleyman's heir. Next, Roxelana convinced Suleyman that his Grand Vizier Ibrahim was a traitor who was scheming to usurp the sultan's power. Ibrahim who had openly opposed Suleyman's liaison with Roxelana and who did in fact wield an unusual amount of control was assassinated in 1536. With her main obstacles removed, Roxelana soon climbed to the position of chief consort in the harem as well as chief minister to the sultan. 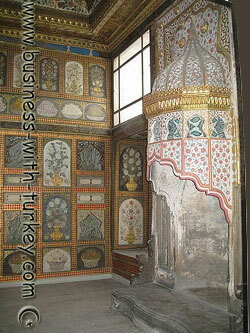 She then managed to do what no Ottoman concubine before her had done - she convinced the sultan to marry her. Islamic law permitted a sultan to take up to four wives, plus as many concubines as he could afford to keep. Until Suleyman however, no Ottoman sultan had married even once. The marriage caused a stir throughout both Europe and the Islamic world. Once married, Roxelana's sons became heirs to the Ottoman throne. Her son Selim, succeeded Suleyman as sultan in 1566 after a struggle with his brother Bayazid which ended in Bayazid's death in 1561. 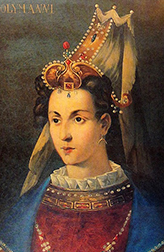 Roxelana herself died in 1558 eight years before her husband, ending the story of the slave girl who climbed the ranks to the position of sultana. Hope you enjoyed our article! Thank you for visiting our site !